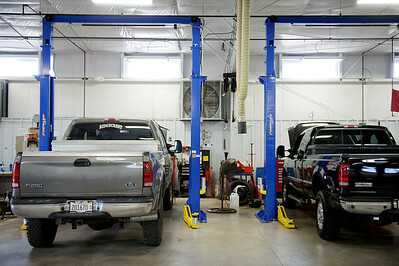 Daniel J. Murphy - dmurphy@shawmedia.com The new service bays Thursday May 17, 2012 at Harvard Ford in Harvard. Harvard Ford recently expanded its service department, which now includes drive-through lane for customers. Daniel J. Murphy - dmurphy@shawmedia.com Harvard Ford Thursday May 17, 2012 in Harvard. Daniel J. Murphy - dmurphy@shawmedia.com Mechanic Clete Barkler replaces the fuel injectors on a Ford F-350 pickup truck Thursday May 17, 2012 at Harvard Ford in Harvard. 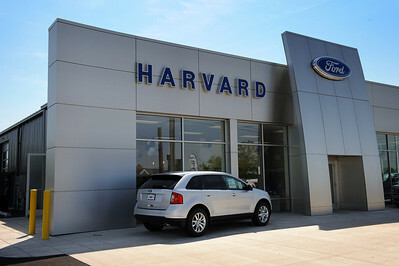 Harvard Ford recently expanded its service department, which now includes drive-through lane for customers. Harvard Ford Thursday May 17, 2012 in Harvard.